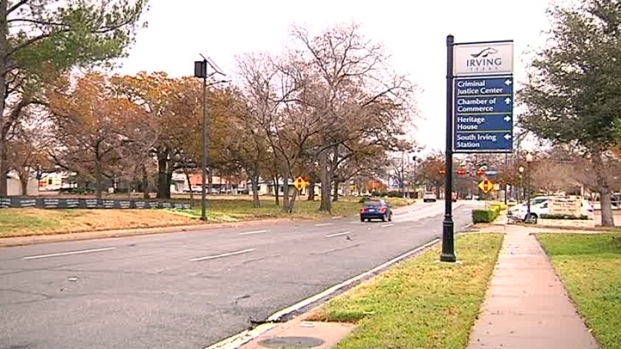 The city of Irving is making plans to revamp the heart of downtown. Its goal is to stimulate the local economy by attracting both residents and visitors to Heritage Crossing. Teresa Adrian, code enforcement director, is leading a group tasked with making Heritage Crossing shine. She and her teammates put their vision into a comprehensive presentation based on years of thinking and public input. "There may be some give and take with the community so that we can get this development going and kick it off of dead center," she said. Irving wants to stimulate the local economy by attracting residents and visitors to Heritage Crossing. The group of city planners are developing a 12-month action plan that will include estimated costs of the project's phases, as well as the logistics of making it a reality. Downtown Irving has come a long way over the years. "It got pretty bad at one time," said Victor Aubey, who has called Irving home for almost 30 years. "It was very rundown. It was ... almost forgotten." Decades later, there are signs of an economy revival. Aubey's business on Main Street saw a boost in sales when he added a post office a month and a half ago. "The public response has just been overwhelming," he said. Joann Goin, owner of a restaurant called Glory House, said more local businesses have opened up along the historic street. "When I first visited Main Street about moving my business in, there were a lot of vacant properties, and now all of the properties are virtually filled," she said. Adrian's group plans to present its proposal to the City Council in February. If approved, construction would begin soon after.